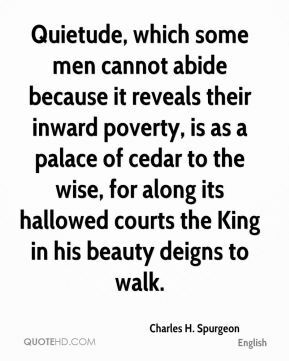 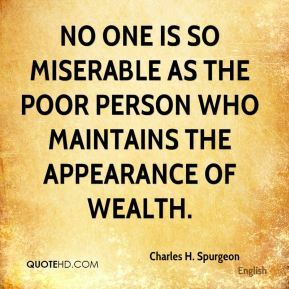 No one is so miserable as the poor person who maintains the appearance of wealth. 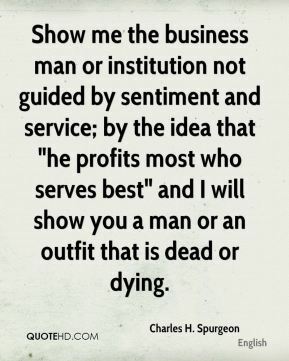 Show me the business man or institution not guided by sentiment and service; by the idea that "he profits most who serves best" and I will show you a man or an outfit that is dead or dying. 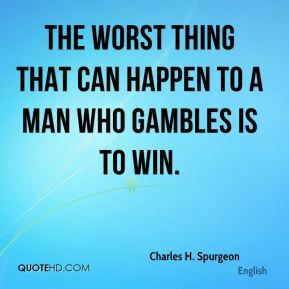 The worst thing that can happen to a man who gambles is to win. 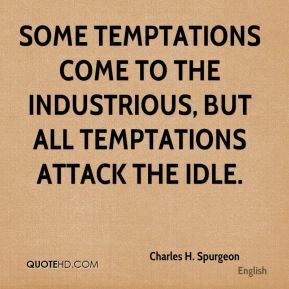 Some temptations come to the industrious, but all temptations attack the idle. 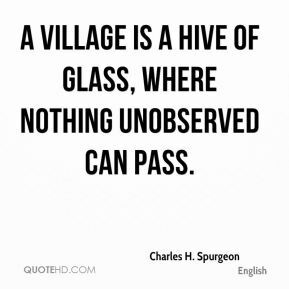 A village is a hive of glass, where nothing unobserved can pass. 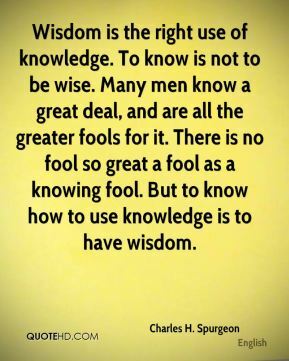 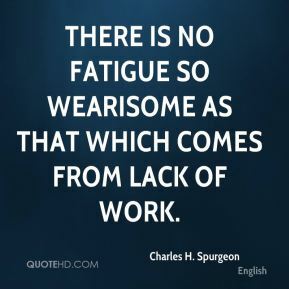 There is no fatigue so wearisome as that which comes from lack of work. 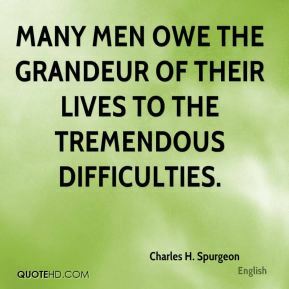 Many men owe the grandeur of their lives to the tremendous difficulties. 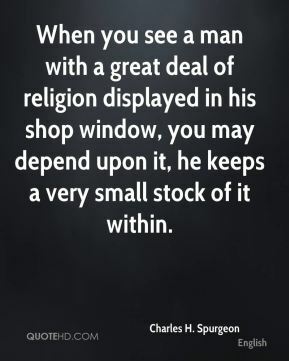 When you see a man with a great deal of religion displayed in his shop window, you may depend upon it, he keeps a very small stock of it within. 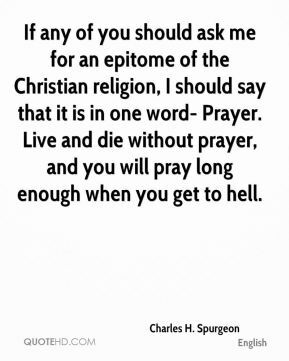 If any of you should ask me for an epitome of the Christian religion, I should say that it is in one word- Prayer. 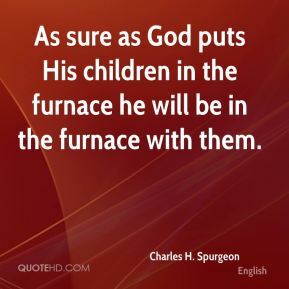 Live and die without prayer, and you will pray long enough when you get to hell. 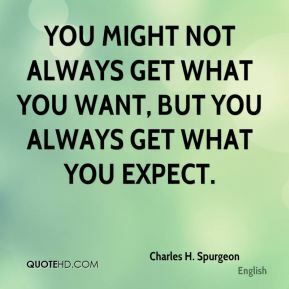 You might not always get what you want, but you always get what you expect. 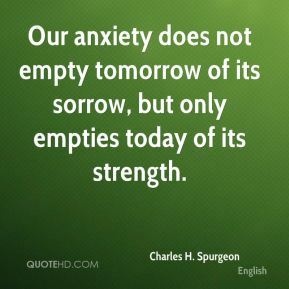 Our anxiety does not empty tomorrow of its sorrow, but only empties today of its strength.